Liverpool's own marathon man - the club's appearance record holder with 856 senior outings spanning almost two decades. 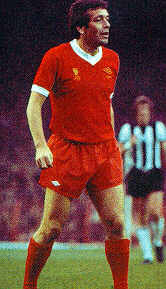 Liverpool-born Callaghan was the only player to appear for the club in the old Second Division right through to their first European Cup triumph in Rome in 1977. He was at the club as a junior when Bill Shankly arrived in 1959 and still playing when the legendary Scot left in 1974. Like his boyhood hero Billy Liddell - ironically the man he replaced on his debut in April 1960 - Callaghan was a gentleman of the game. He was booked only once in a remarkable career which brought him a cascade of medals and an MBE. 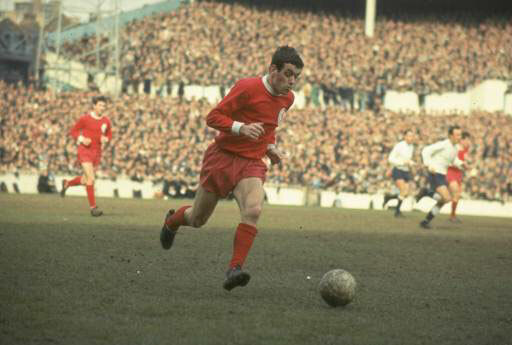 He was a direct, raiding right winger during the first phase of his career, embracing Liverpool's climb from the old Second Division, on to League and FA Cup glory and regular European campaigns before knee damage threatened his Anfield future in 1970. 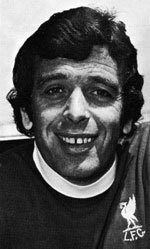 But the evergreen Callaghan returned in a new, central midfield role, continuing impressively during the Bob Paisley management era. His crowning glory was a place, at 35, in the first European Cup-winning side. He joined Swansea in 1978, later played for Crewe and set an all-time record of 88 FA Cup appearances. The statistics of matches and goals at the top is included in the table by the conducted player of a reserve in a seasons 1970-71, 1976-77, 1977-78 not completely.